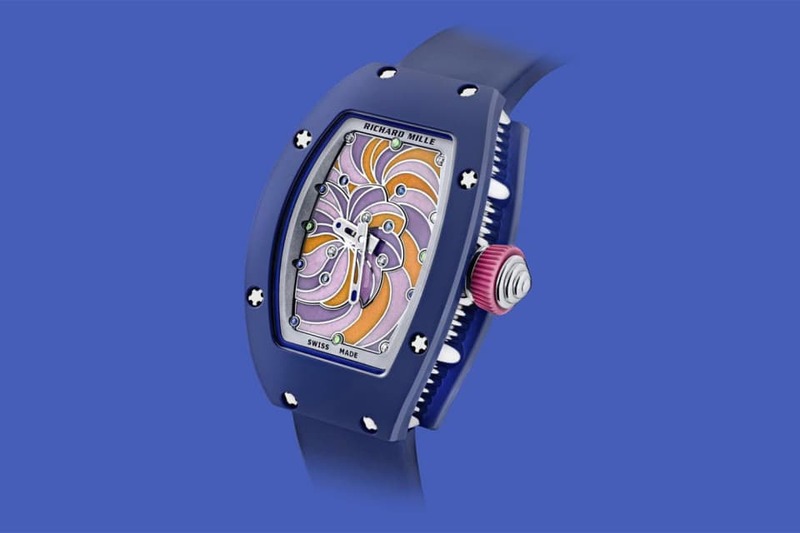 Richard Mille has always had a thing for standing out from the crowd. 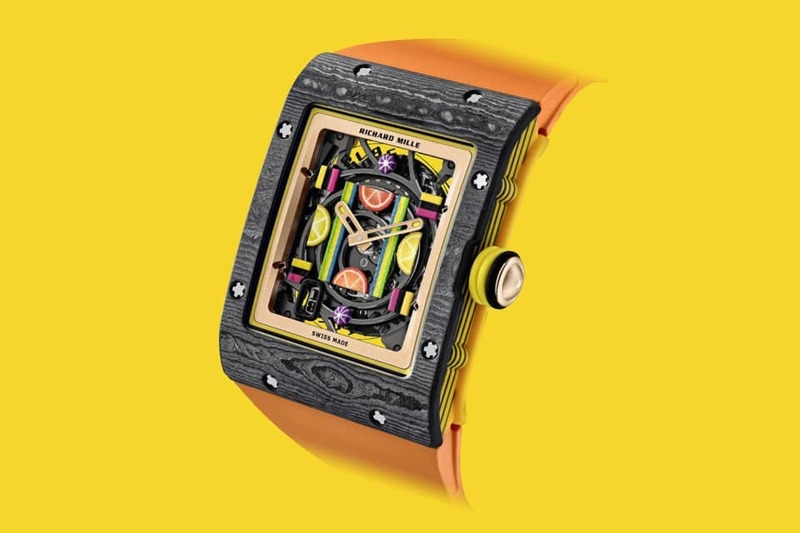 Between intricate open tourbillons, daring colour schemes, and that iconic tonneau-shaped case, a Richard Mille timepiece has long been known as both an eye-catcher and a surefire conversation starter. 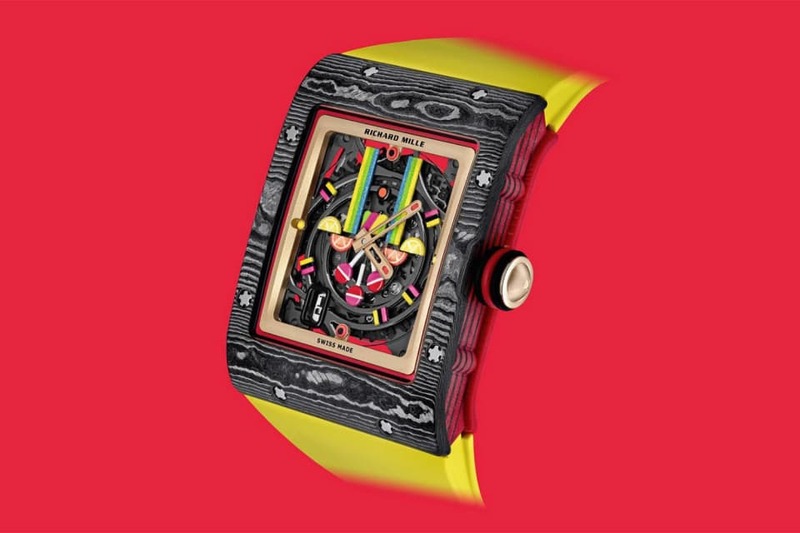 For its latest unveil at the Salon de la Haute Horlogerie (SIHH) 2019, the luxury Swiss watchmaker takes us on a nostalgic trip to the candy store, creating much colourful buzz once again. 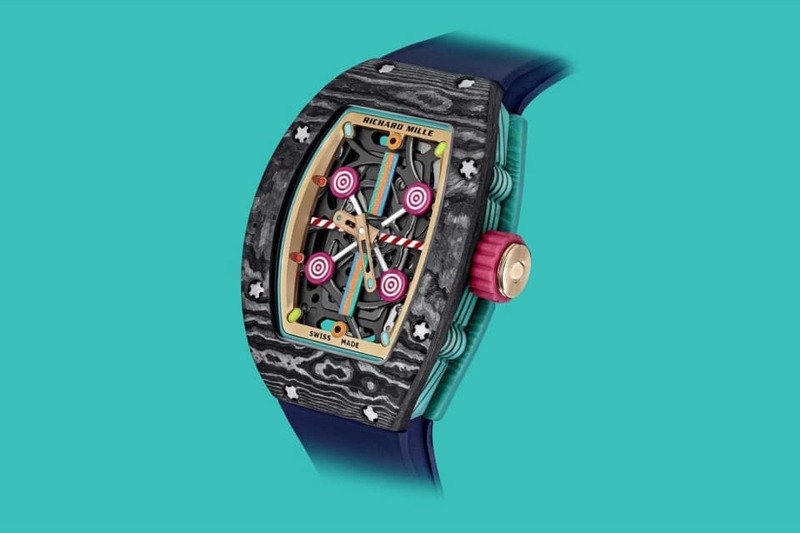 Introducing: the Richard Mille Bonbon collection. 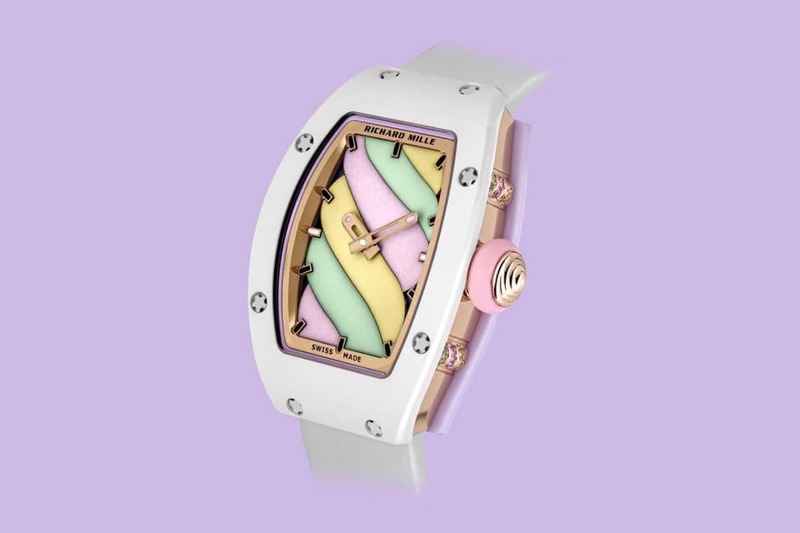 Embracing the playful and sweeter sides of watchmaking, the Bonbon collection sees ten new models in a total of 60 ‘zingingly bright’ colours, seen across six Carbon TPT and Quartz TPT cases. Divided into a 6-model Fruit line and a 4-model Sweets line, each see the incorporation of charming design accents mimicking many candy favourites, all of which are available under the unisex RM 16 family, as well as the ladies’ RM 07 and RM 37 family. 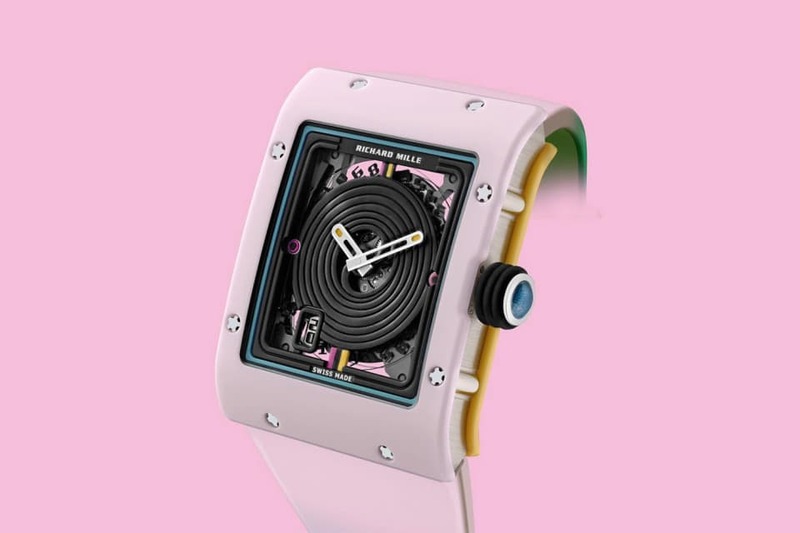 Aiming to exude a rebellious childhood spirit, the timepieces are the work of creative mastermind and Artistic Director Cécile Guenat. She states, “just saying the word [bonbon] is enough to make you smile. It manages to convey a combination of pleasure, good cheer and sharing all at once.” And indeed, a quick look at the freshly released pieces brings a sense of warmth to any of its admirers. Think, Willy Wonka, but make it luxe. The concept for the Fruit line is that of sweet temptation. Available in six delectable ‘flavours’, the models range from an RM 16-01 Lemon and Strawberry and a RM 07-03 Blueberry and Litchi, over to a sweet Kiwi and Cherry RM 37-01. Charming names aside, each model bears a colour-gradient case made of Carbon TPT and Quartz TPT, with a brand new all-turquoise colour also available. 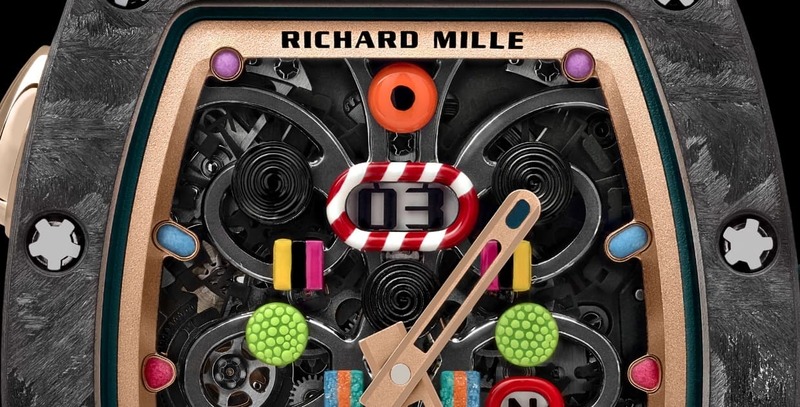 Each of the miniature sculptures (which range from mini gummies to mini lollipops, no less) have been painted with acrylics and lacquered by hand; a true testament to Richard Mille’s craftsmanship. To ‘sugar coat’ the design in its final stages and give it a playful and somewhat toy-like effect, the artisans combined a powdered enamel and fine sand hourglass method. Much like candy-making, it’s all in the details here. Following up with even more adorable names, the Sweets line is made up of four models: the RM 07-03 Cupcake, the RM 07-03 Marshmallow, the RM 37-01 Sucette, and the RM 16-01 Réglisse. 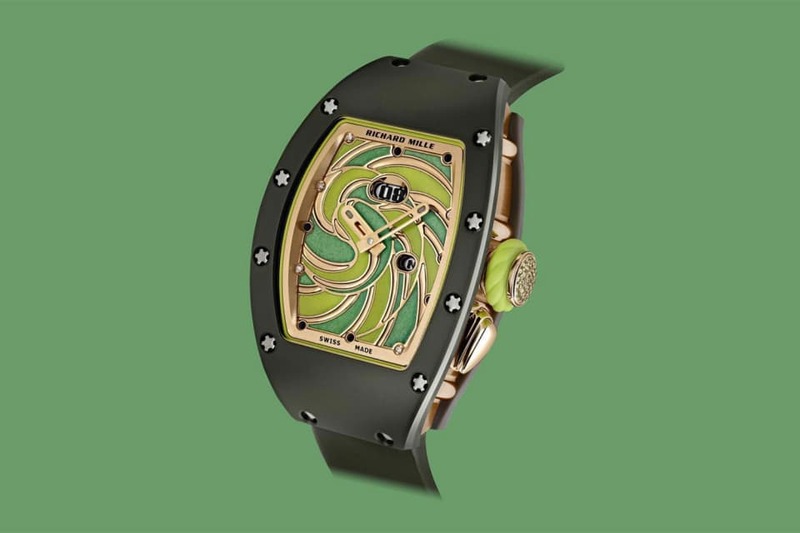 Each model has a two-tone ceramic case, and houses a grand feu enamel or black-chromed titanium confection within its dial. An homage to enjoying each of these sweet treats, the textures have been inspired by the experience of biting into each of the candies, manifested as a feast for the eyes. Far more subtle and a lot less literal in its conception than the Fruit line, the Sweets line balances dreamy design swirls with daring colours. It is difficult not to be consumed by Richard Mille’s latest collection. Whether you find it way over-the-top or mouthwateringly apt, the 10-model line has something of a sugar rush you can’t stop turning to. It’s a reminder to never take life (and time) all too seriously, and to always enjoy the sweeter moments. Bold in design — and backed by the mechanics and movements that have racked it high Haute Horlogerie points this SIHH 2019 — it captures in great and clear-cut essence a refreshed yet still elegant take on its ever-growing ever-exuding message: a sense of joie de vivre. 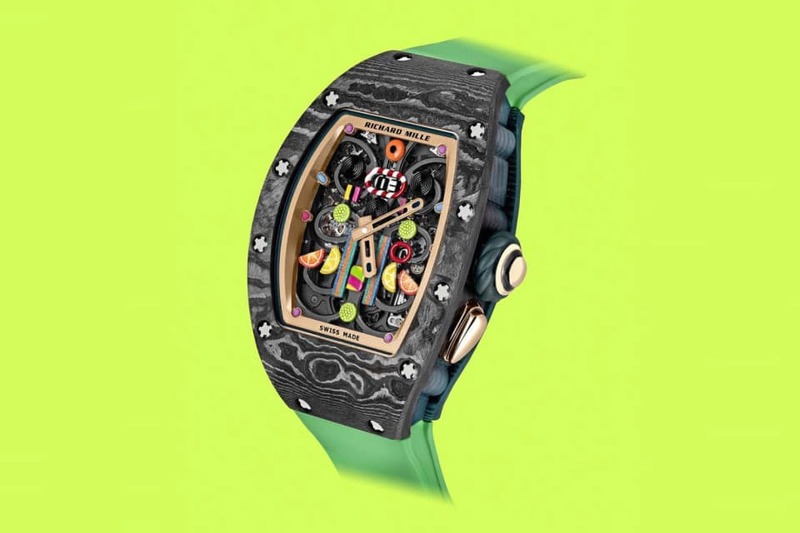 The Richard Mille Bonbon collection will be available in Richard Mille boutiques from Spring/Summer 2019.